It’s Monday! What are you reading? Link up to Jen and Kellee’s meme and share what you have been reading from picture books to young adult selections! It was back to school this week which has meant more reading to others and less time for my own quiet reading. Which is just fine! I am so happy to be reading to students again! I just posted (here) my first read alouds. Humour helps to ease the first week’s anxiety so these books bring plenty of smiles and giggles! We shared Chloe and the Lion, You’re Finally Here and Bink and Gollie: Two for One. 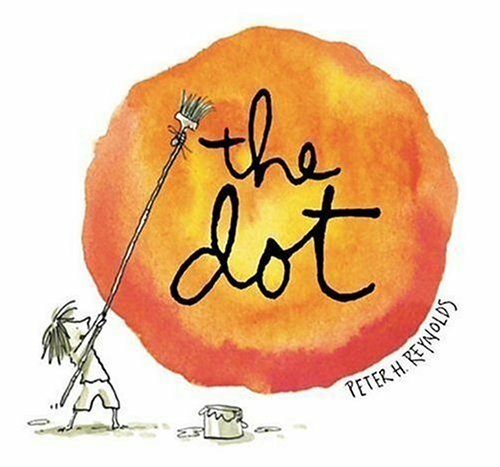 The Dot by Peter H. Reynolds It is International Dot Day on September 15th. (Read more here) I shared this book with my class and we spent the next half hour getting creative and sharing our dots! Low stress. High engagement. 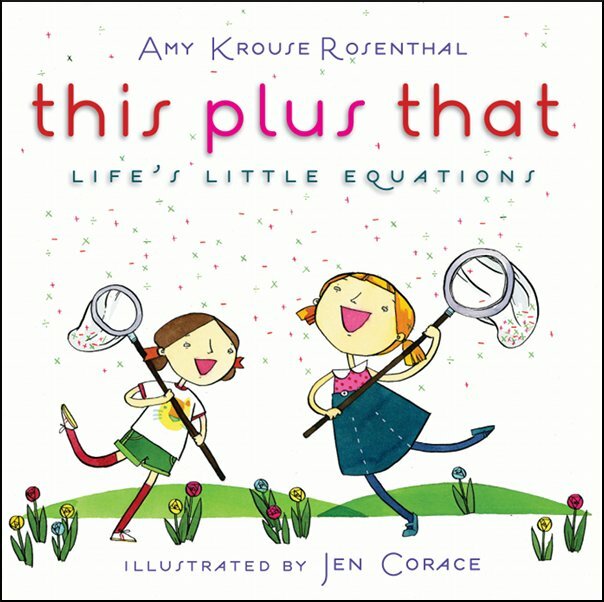 This Plus That written by Amy Krouse Rosenthal and illustrated by Jen Corace. I find that when this book is read aloud, everyone gets kind of quiet and reflective. Thinking about connections and how things relate. I love the effect. 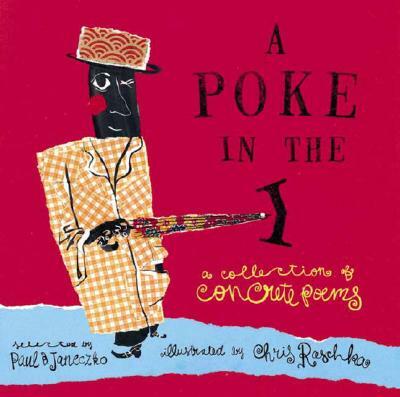 A Poke in the I, a collection of poems selected by Paul B Janeczko and illustrated by Chris Raschka I would pick this book up just because Raschka is one of my favourite illustrators, but this book is worth exploring for many reasons. I love the variety of ways words and poems are presented. What inspiration for students! 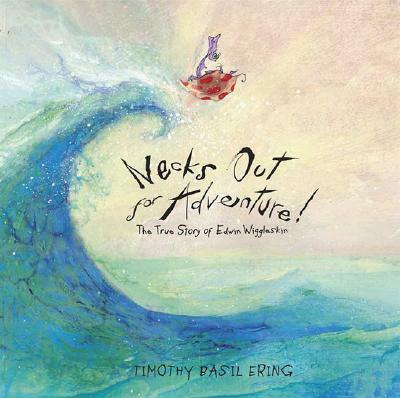 Necks out for Adventure written and illustrated by Timothy Basil Ering I am a big fan of Ering’s Frog Belly Rat Bone so when I saw this book on a Monday reads list, I was intrigued. A few weeks later I was searching through a box of donated books and I found this book! It is quirky and odd in the best of ways. Can’t wait to share it as a read aloud. 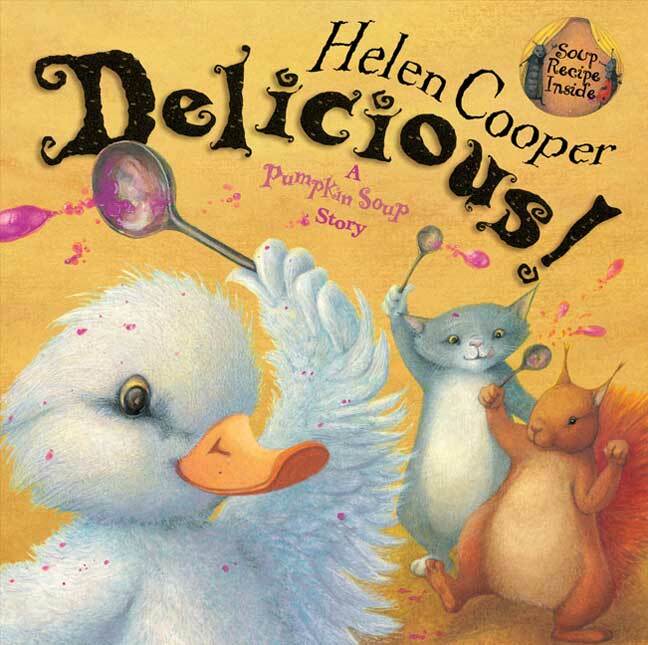 Delicious (A Pumpkin Soup Story) by Helen Cooper I love books that have another sub-plot going on somewhere else on the page via the illustrations (think Phoebe Gilman’s brilliant Something from Nothing). While persnickety duck keeps rejecting soup flavours, the industrious bugs invent ways to capture the rejected flavours. As a parent, I certainly connected to the picky eater aspect of this story! 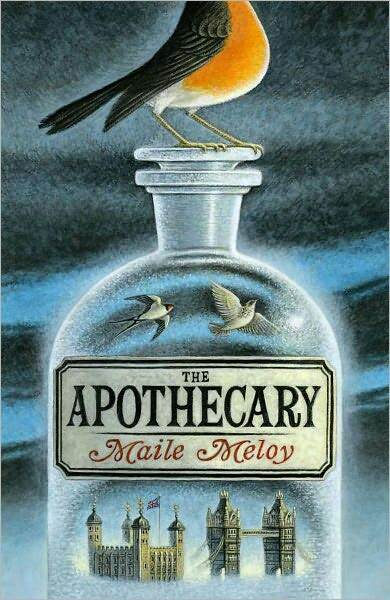 The Apothecary written by Maile Meloy. I don’t want to say much about this book because it has so many mysterious twists, I’d hate to give anything away. I thoroughly enjoyed it! Part fantasy, part mystery, part historical fiction, many parts adventure . . . You can’t really go wrong with his title. I just picked up Kristin Cashore’s Bitterblue from the library (have had it on hold for months!) so that is the book I delve into next! This entry was posted in It's Monday What are you reading? and tagged Amy Krouse Rosenthal, Chris Raschka, favourite illustrators, Helen Cooper, Jen Corace, Maile Meloy, middle grade novels, Monday reads, Peter H. Reynolds, picture books, poetry, Timothy Basil Ering by carriegelson. Bookmark the permalink. I read The Apothecary late last year and was totally engrossed. If I remember right Janie was 14, but I felt the story could definitely be pushed down to kids 10+, don’t you think? Great fun. And I’ve just added Delicious and This + That to the TBR! This + That is a must read! So great. I definitely think of Apothecary as a book that could be read with younger students. The mystery element and fast pace would keep their attention. Myra I would love to take a look at those other Janeczko and Raschka titles. There is so much in these books to share and inspire. I thought there was only one more. Thanks!